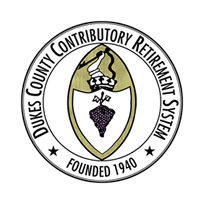 Member units* in the Dukes County Contributory Retirement System provide health insurance benefits to their eligible active employees and retirees through the Cape Cod Municipal Health Group (CCMHG). CCMHG is a municipal joint insurance purchasing group made up of 53 participating governmental units on Cape Cod & Martha’s Vineyard. For more information on CCMHG, you can visit their website at www.ccmhg.com. Active members who are contemplating retirement should contact the Treasurer, Human Resources Office or Benefits Coordinator at their employing unit for information regarding post-retirement health benefits; enrollment, rates, eligibility requirements, and other plan information. *DCCRS members who retire from the Martha’s Vineyard Regional High School are provided with health insurance options through CCMHG as well as the GIC (for retirees who are age 65+).